An essential piece of protection for keeping your property safe. 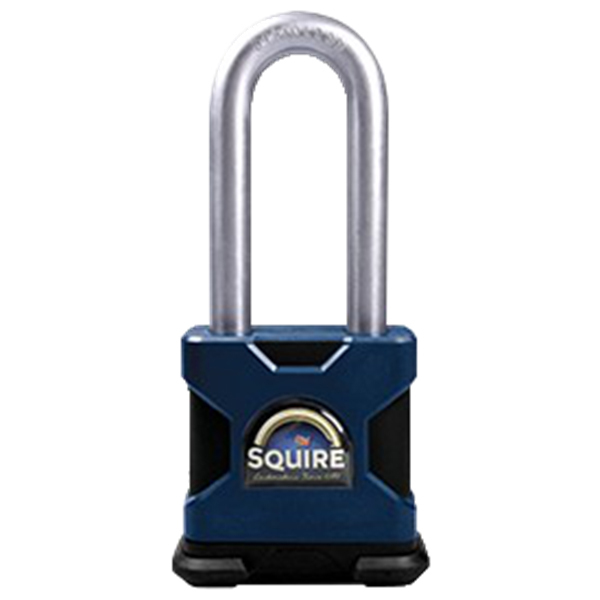 The Squire Stronghold LS64 Long Shackle Padlock is hard wearing and ideal for use on a range of appliances including: sheds, garages, toolboxes, vans and storage areas. 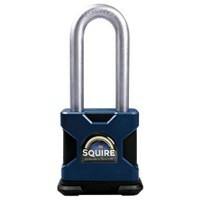 With a laminated steel body and hardened steel shackle, the padlock itself also features Anti-drill protection on cylinder. The shackle is double deadlocking with a keyed to differ ball locking pin tumbler and the product's electrophoretic finish offers excellent corrosion resistance, making it more immune to sustaining damage.